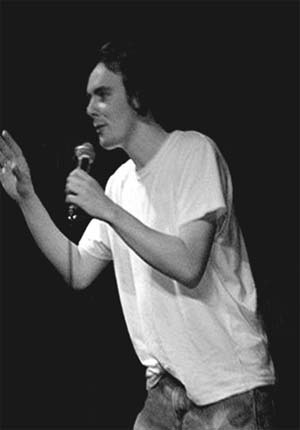 Straight from the ‘Plusnet’ telly adverts, hailing from Dewsbury (a town otherwise famous for international terrorists, fake kidnaps and ‘Britain’s Best Market’), no nonsense Northerner Craig is currently one of the hottest rising talents on the comedy circuit. Described by Jo Brand as ‘bloody funny’ and bbc.co.uk as ‘a downright hilarious performer with reams of brilliant material’ Craig is an instant crowd pleaser with a charismatic, mock-confrontational style guaranteed to wreak havoc on the funny bone. Preston Comedian of the year runner up. Multiple ‘Gong Show’ winner from Manchester with some memorable one-liners.